For New Jersey families struggling to make ends meet, the wages lost to extra time commuting or the cost of replacing a tire because of bad roads could mean the difference between making this month’s rent and falling further behind. The average New Jersey driver pays about $2,000 extra per year because of added wear and tear on their cars caused by crumbling roads. 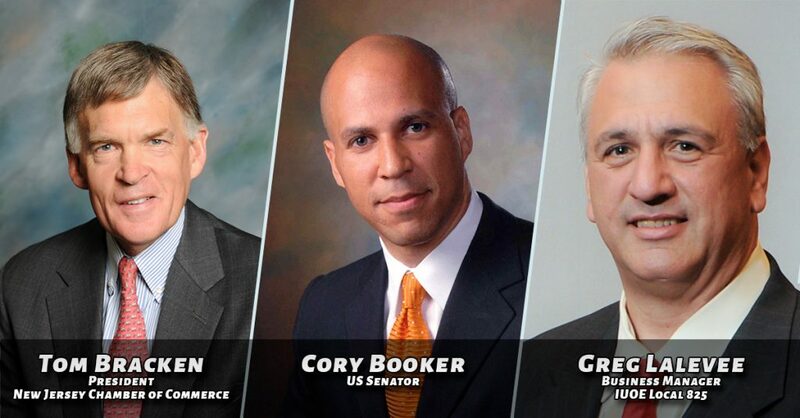 In an opinion piece published in the Star Ledger, Senator Corey Booker, NJ Chamber of Commerce President Tom Bracken, and Local 825 Business Manager Greg Lalevee lay out a straightforward case for supporting infrastructure in New Jersey. Funding New Jersey’s roads is a truly bi-partisan issue, helping to keep individuals and businesses traversing the state safe and efficient. Most New Jerseyans can’t afford to be late to work or to pick up their kids from childcare, yet last year commuters lost two weeks of their time because of traffic congestion on our state roadways. This lost time is invaluable, time that could be spent in our communities, with our friends, with our families. Crashes related to poor road conditions cost New Jersey residents and businesses an estimated $4.6 billion every year. Another study said that one third of fatal New Jersey car crashes, poor road conditions played a role. These tremendous financial and human costs borne by taxpayers don’t get nearly the attention they deserve. But the costs are real and they should absolutely factor into important decisions about infrastructure investment. The primary source of infrastructure funding in NJ, the Transportation Trust Fund, goes bankrupt July 1 unless legislators can find a funding solution. If they don’t, property taxes will rise to make up for the shortfall, and out-of-state drivers will be able to use NJ’s roads without paying their fair share. Please share this with your social network so that everyone understands what is at stake.